Police probing the bomb attack on the London underground have been searching a home said to belong to foster parents who had taken in child refugees. 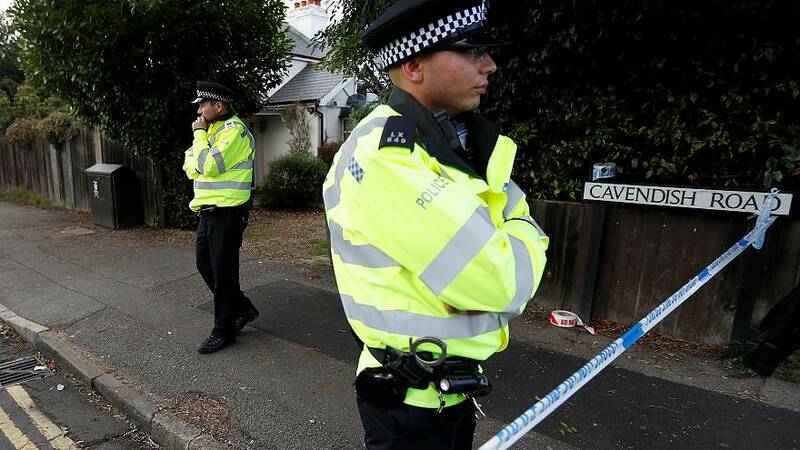 Neighbours were evacuated during Saturday’s search in Sunbury-on-Thames, southwest of the British capital. Press reports said the house belongs to elderly couple Ronald and Penelope Jones, who have been honoured by Queen Elizabeth for services to children and families. The search followed an arrest described as ‘very significant’ by Scotland Yard. “At this stage, we’re keeping an open mind around whether more than one person is responsible for the attack and we are still pursuing numerous lines of inquiry and at great pace,” Metropolitan Police Deputy Assistant Commissioner Neil Basu told reporters. On Saturday morning, an 18-year-old man was arrested in the departure lounge of the southeastern ferry port of Dover, from which passenger ships sail to France. He is being questioned on suspicion of a terror offence in connection with the home-made device that partially detonated on a Tube train on Friday, injuring 30 people. A second man was also arrested on Saturday in connection with the Parsons Green attack. The 21-year-old was detained just before midnight in the west London suburb of Hounslow and was taken to a police station in south London, according to a statement released by the Metropolitan Police on Sunday morning. ISIL claimed responsibility for the attack at Parsons Green station following which Britain’s terror threat was raised to its highest level – critical – meaning a further attack may be imminent. As a result, armed police have been patrolling in London, protecting government departments and key sporting events. Prime Minister Theresa May has said the public should not be alarmed by armed officers on the streets, a rare sight in Britain.